Well its been awhile so I thought I should throw another video up. Mt Victoria Hillclimb, Wellington, New Zealand. And yes that is me 'wooohooing' at the end It was so much fun in the wet! Here is another effort at Port Road Street Sprints in Jan... a bit messy but pretty pleased. 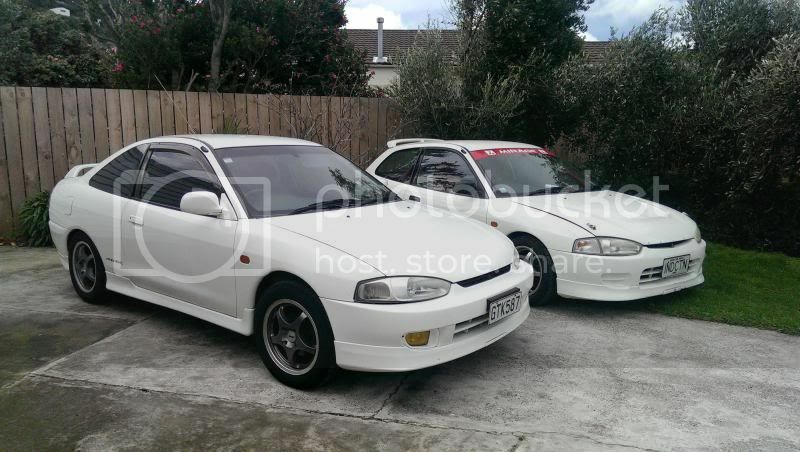 So when we needed a second car what did we decide to buy.... Another Mirage of course!!!!!! 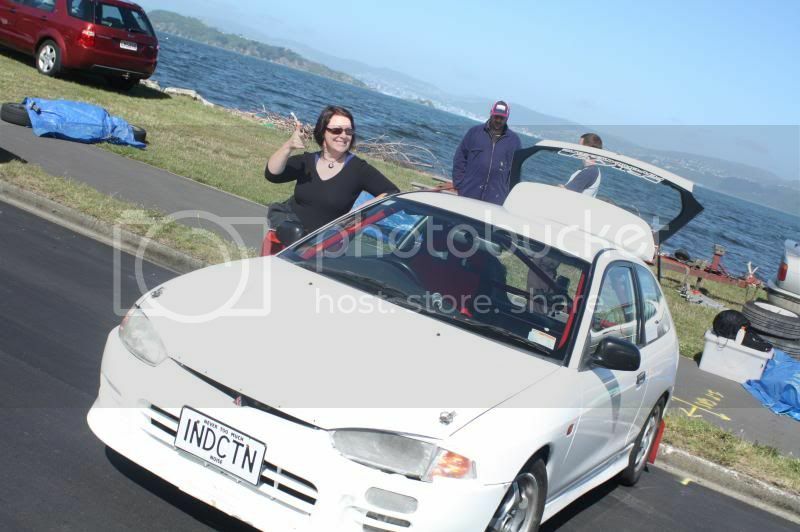 Oh and one of me being cheesy on race day at the Port Road Street Sprint Wellington. would you sell your mirage cup banner?